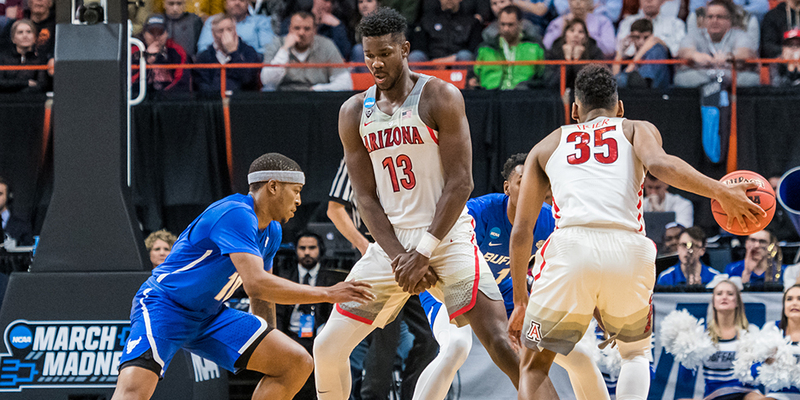 Deandre Ayton sits atop many draft boards. But he still has work to do. Contributor Norm de Silva zeroes in on Ayton's biggest problem areas. At this time of year, teams are diving deep into their big remaining questions, doing as much work as they can (whether in personal workouts or detailed film study) to try to increase their confidence as much as possible in their draft evaluations. In that spirit, Cleaning the Glass will bring you one article a day until the draft, from myself or a contributor, focusing on a big question about a top prospect. Today’s article comes from contributor Norm de Silva. Norm is an advance scout with the Houston Rockets. He has previously served as a head coach in both Japan and China as well as an assistant coach for multiple D-League teams. You can contact him at norman.desilva@gmail.com. Deandre Ayton looks poised to be the top pick in Thursday’s NBA draft, and he is the surest, safest option. But that doesn’t mean he’ll ultimately be the best player in this class. Ayton possesses qualities that can’t be taught, and the things he lacks are those that have the highest percentage of improving. But that; doesn’t ensure that Ayton will improve in those areas, and they are almost all related to the way he sees the game.